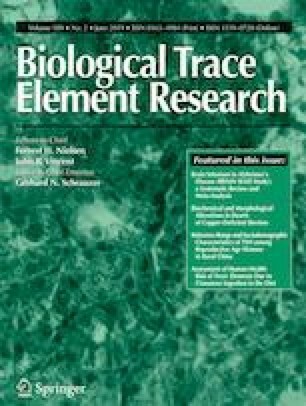 The purpose of this study was to investigate the interactions between different selenium (Se) compounds including sodium selenite (SS), selenium-enriched yeast (SY), and nano-selenium (NS) and various essential trace elements involved in the antioxidant systems, and to evaluate the effects on laying performance and egg quality. A total of 288 21-week-old Hyline Sophie hens were allotted to four dietary treatments: (1) basal diet without Se supplementation; (2) basal diet supplemented with 0.3 mg/kg Se of SS; (3) basal diet supplemented with 0.3 mg/kg Se of SY; (4) basal diet supplemented with 0.3 mg/kg Se of NS. Each treatment had eight replicates with nine hens per replicate. The trial lasted for 35 days. Results demonstrated that NS supplementation decreased the egg production (EP) and increased the feed conversion rate (FCR) and eggshell thickness and that SY changed the egg shape index (p < 0.05). Supplementation with three Se compounds significantly increased serum Se concentration and glutathione peroxidase (GSH-Px) activity in all treatment groups, as well as total superoxide dismutase (T-SOD) activity in the SY and NS groups. Yolk iron (Fe) and copper (Cu) concentrations in the NS group were also increased with Se supplementation. While the serum zinc (Zn) concentration decreased in the NS and SY groups, as well as the yolk manganese (Mn) concentration in the SY group. And the total antioxidant capability (T-AOC) of yolk with 3 days of storage in the SY and NS groups, malondialdehyde (MDA) value in the NS group, and the T-SOD activity and MDA value of yolk with 10 days of storage in the SY group also decreased. Thus, the source of Se compounds may influence the balance between Se and other trace elements including Zn, Mn, Fe, and Cu, which is important for proper antioxidant defense in blood and egg yolk of laying hens. Yurong Zhao and Jiahua He designed the experiment; Xue Lin analyzed the data; and Xue Lin, Ting Yang, and Yinli Ji performed the experiments. Xue Lin wrote the manuscript, and Yurong Zhao, Jianhua He, and Hua Li revised it. Xue Lin, Ting Yang, and Yinli Ji contributed to data collection and analysis. All authors read and approved the final manuscript. This research received support from the Qingyuan Technology Program (2018B02) and Guangzhou Tanke Bio-tech Co., Ltd., Guangdong, China. Experiments were carried out in accordance with the ethical guidelines of Hunan Agricultural University for the care and use of laboratory animals.